With warm sand between his toes, private investigator Rocky Revada is finally taking a well-deserved vacation. But the emotional pleas of a pretty woman have somehow lodged inside the usually practical investigator's head. As he mulls it over, probing the theft of an expensive roping horse seems much more interesting than the mundane pleasures of sun, surf, and dinners alone. However, when Rocky arrives at Glenn Gridley's northern Utah ranch, he unearths far more trouble than he bargained for. Multiple horses have been stolen from the cantankerous rancher and have been mysteriously replaced with worthless look-alikes. Then Gridley's attractive and persuasive daughter, Shanice, finds someone from her past on the family property, very much dead. What started as a simple investigation of theft has escalated into a murder investigation, and as Rocky edges closer to the truth, he is targeted as the next victim. Tensions peak, and Rocky realizes he must shield Shanice and her daughter from an unknown enemy. It seems someone wants to destroy the entire Gridley family. Now Rocky must summon every bit of his faith and courage to protect the woman he has come to love as he is tested in the fires of his most dangerous case to date. Clair M. Poulson retired after twenty years in law enforcement. During his career he served in the U.S. Army Milititary Police, the Utah Highway Patrol and the Duchesne County Sheriff's Department. He currently serves as a justice court judge for Duchesne County. His forty-year career working in the criminal justice system has provided a wealth of information from which he draws in writing his books. 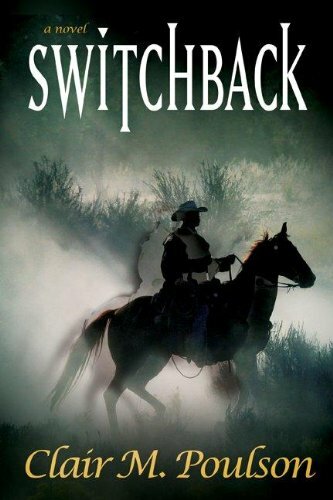 With Switchback, Clair has published twenty novels, many of them best sellers. We are a used book store with every kind of book we can find.